Tours and tastings are available by appointment only and are offered daily. A tasting-only option is by appointment only and is offered daily at 11:00am and 3:00pm. Newton Vineyard was one of the first wineries on Spring Mountain, a rugged yet serene appellation located west of St. Helena on the eastern flank of the Mayacamas range. Newton Vineyard was established by Dr. Su Hua and Peter Newton, whose trailblazing vision transformed the hillside into a 490 acre estate with 73 acres of planted vines. Newton’s approach to winemaking is meticulous, using techniques based on an old-world style including natural fermentation and bottling without filtration. The grapes are handled with care, hand-picked in small lots and transferred to the cellar for gentle pressing. The winery is custom-designed to allow lots from 70 distinct parcels on the property to ferment separately, affording the winemaker an abundance of options when constructing final blends. Barrel aging takes place in a cave built into the mountain directly beneath the winery and its iconic gardens. We invite you to visit Newton Vineyard and discover this jewel atop Spring Mountain in St. Helena. All of our distinct guest experiences are by appointment only. Please expect to spend approximately 90 minutes with us. Reservations may be made online (see below) or by calling the winery directly at 707-204-7423. We are closed Thanksgiving Day, Christmas Eve, Christmas Day, New Year's Day. The experience begins with a stroll through our iconic garden, followed by a visit to our underground barrel caves. Throughout the tour, your Wine Ambassador will take you through Newton’s rich history and winemaking techniques. You will then be guided to a cozy tasting room, where you will sample wines from our Unfiltered range. Our Single Vineyard range was launched in 2017 to celebrate Newton Vineyard’s 40th anniversary. These limited production wines showcase some of Napa’s most extraordinary terroirs, and have received high ratings from respected wine critics. This premium experience includes tours of our iconic garden and underground wine caves. You will encounter Newton’s unique personality firsthand, as your Wine Ambassador shares the winery’s fascinating history and winemaking philosophy. The session concludes with a seated tasting, featuring our Single Vineyard and winery exclusive wines. Explore the Newton estate with this one-of-a-kind tasting experience. We start the session by driving you to the top of our property in our deluxe utility vehicle. Surrounded by breathtaking panoramic views of the Napa Valley, you will enjoy an intimate tasting on a platform nestled among our Cabernet Sauvignon vines, 1600 feet above the valley floor. The tasting menu will be customized for each group. You must be of legal drinking age to engage with us. Please enjoy responsibly. A small tasting room with large windows to the adjacent terraced hillside vineyard blocks. To join the wine club, visit www.newtonvineyard.com or call 707-204-7423. Newton Vineyard has two levels of wine clubs: Enthusiasts and Connoisseurs. All members enjoy a 20% discount on current release wines and all gift merchandise, as well as a 30% discount on select reorders during shipment months. Additionally, club members are welcomed to a complimentary tour and tasting at the property and exclusive member only invitations. Enthusiast members receive four shipments per year of current releases and Connoisseurs receive an additional extremely rare bottle from the Newton library. Members have the option of a 12 bottle, six bottle, or three bottle shipment. Please note that Connoisseur Membership is limited. Please contact us for availability. Newton Vineyard is certified under the Napa Green Winery Program by the Napa County Department of Environmental Management (DEM) and the Association of Bay Area Government’s (ABAG) Green Business Program and completed all the regulatory components needed for environmental sustainability. These components included developing water and energy conservation methods, preventing pollution, and reducing solid waste. In addition to developing sustainable winery practices, this program is set to become the standard for the state of California. 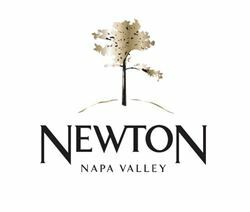 Newton Vineyard is certified under the Napa Green Certified Land Program. Newton Vineyard has created and implemented a customized farm plan with measured results that addressed all aspects of its property, vineyard land as well as non-farmed land, including practicing soil conservation, water conservation, stable drainage, riparian corridor enhancement, fisheries and wildlife habitat enhancement and long-term improvement and sustainability.